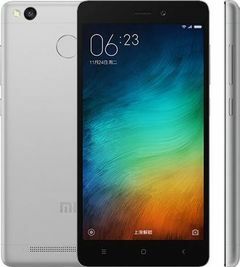 The Redmi 3s Plus is an entry-grade smartphone by Xiaomi that was first brought out in the latter half of 2016. A part of the third generation of the Chinese company's Redmi smartphones, the 3s Plus is the most expensive of the lot. Coming to its specifications, the Redmi 3s Plus comes in with a 5-inch HD display and is powered by 1.5GHz Octa-Core Qualcomm Snapdragon 430 processor meted to a 2GB RAM. Other than that, the phone runs on Android 6.0 Marshamallow along with Xiaomi's customary MIUI 7 skin on top. The dual SIM 3s Plus features an in-built storage space of 32GB and is available in three (Gold, Silver and Dark Grey) color variants. Also, the phone has a rear-mounted fingerprint sensor and IR blaster amongst various other features, such as 4G VoLTE, Wi-Fi 802.11 b/g/n, Bluetooth 4.1, GPS and GLONASS. The phone packs a 4,000mAh battery to keep things going and encases all of that in a sandblasted aluminum body. The phone features a 13MP camera on the back with features including PDAF and a 5MP one on the front. The phone is currently out in the market and the Xiaomi Redmi 3s Plus best price in India is 8,999INR. Xiaomi make fool they give 2GB of RAM and 1.1 Ghz CPU and price 9k where 3gigs of RAM and 1 4Ghz CPU in prime availableat same price.how they think indians compromise to price and feature.. Hybrid for INDIA, only 2gigs RAM, price also.